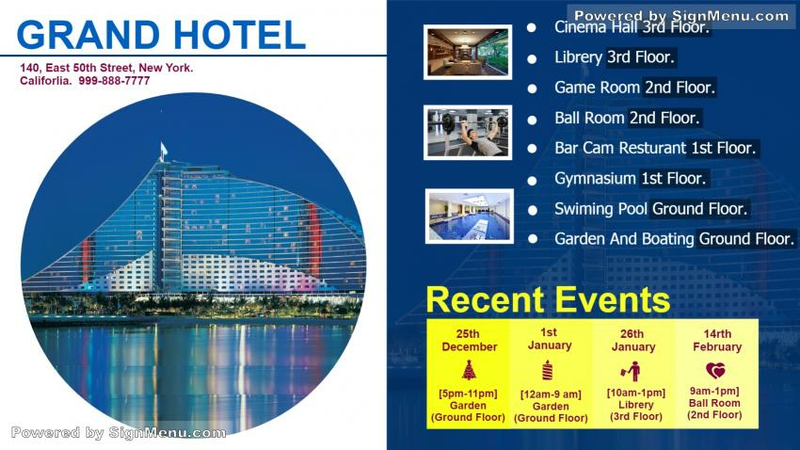 This template showcases the various property offerings of a hotel with graphics and fonts. Hotels worldwide have adapted to digital screen advertising to attract their target audience. While the basic facilities of most hotels remain the same, each hotel should position itself suitably to stay ahead of the competition. This template can be placed on a digital screen indoors to provide way- finding indicators for clients and employees. It is ready for download and use.